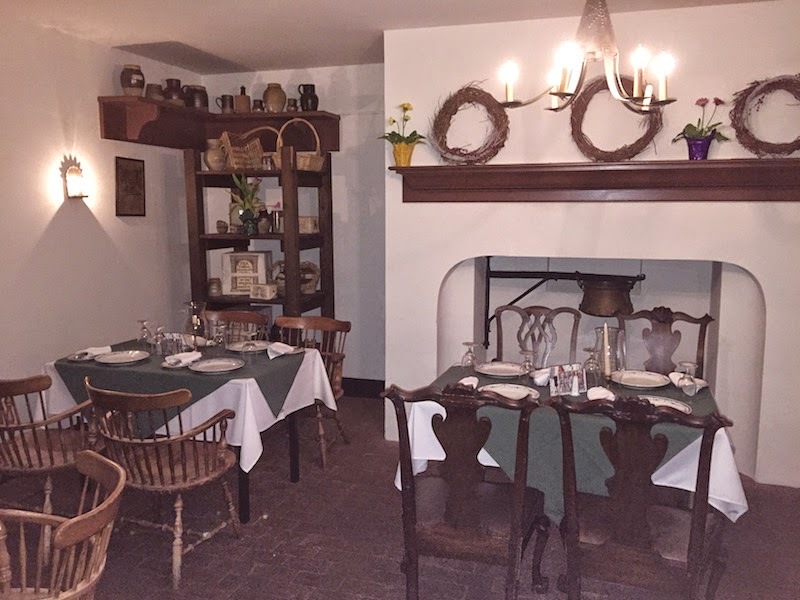 The City Tavern in Philadelphia combines history with top cuisine. 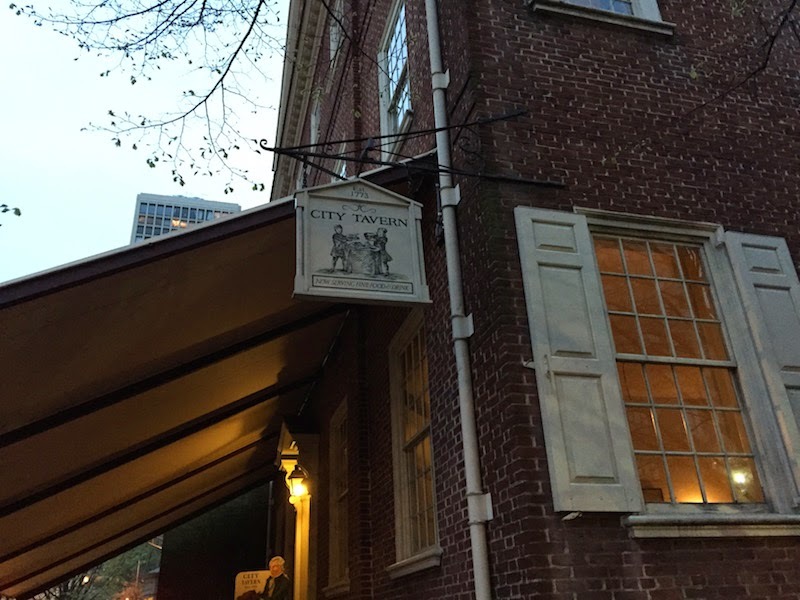 Read my full review of the American dinner at the City Tavern in Philadelphia after the break. City Tavern has been seen on Food Network's Best Thing I Ever Ate and The Travel Channel's The Layover with Anthony Bourdain, and I can see why. It's historic, it's an experience, and the food is great. City Tavern is a replica built in the 1970s of a building originally built in 1773, which was host to such historic personages as George Washington, John Adams, and Benjamin Franklin. It's located in Philadelphia's Old City / Society Hill neighborhood, a short walk from Independence Hall and other historic sites. You feel the history as you walk in. The tables and dining ware are done in the period (including heavy tankards), and the wait staff is dressed in the period, too. But of course you are there for the food. 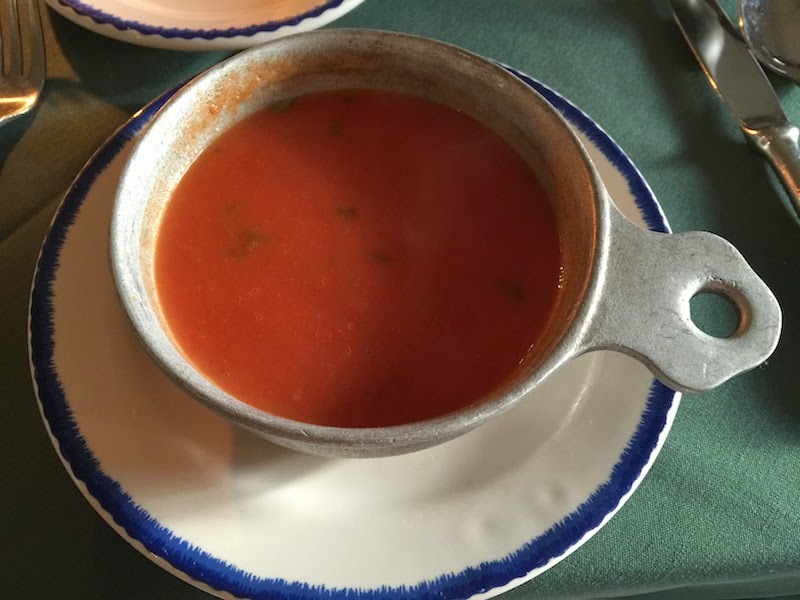 The menu is comprised of dishes you would have found in the original tavern, and many of the include an explanation of where the recipe originated. The soup I had was the Indian Pepperpot. 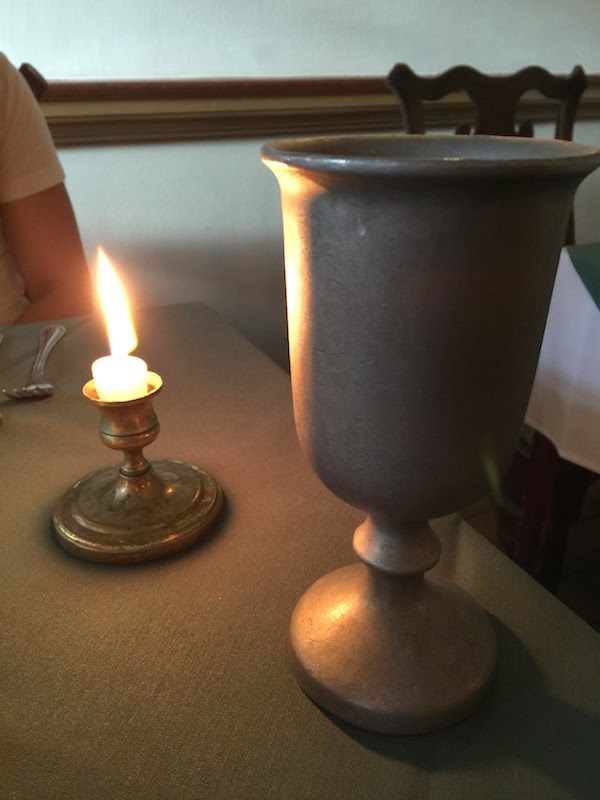 The waiter said the recipe was brought to the tavern by George Washington from his trip to Bermuda. 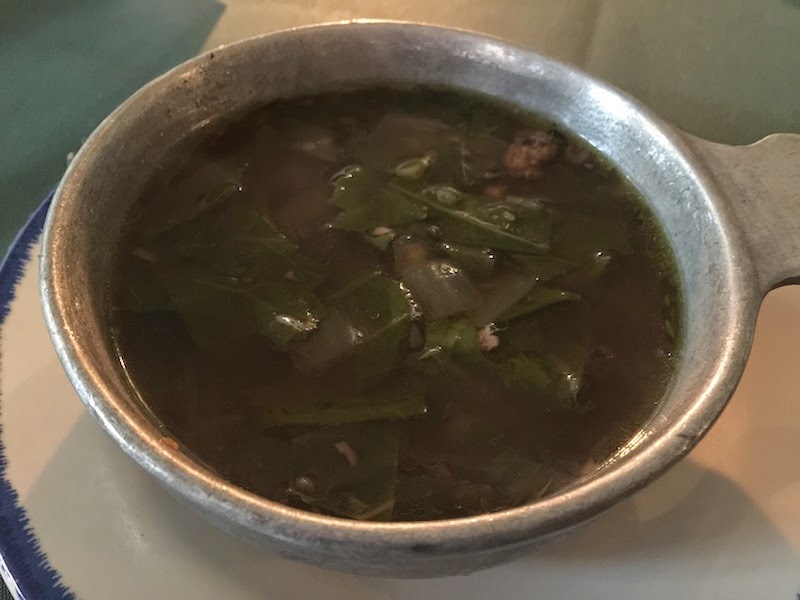 It's basically greens with a lot of pot licker, except it uses beef stock instead of pork or ham, and it uses habanero peppers instead of Serrano peppers. Wow, was this delicious! It's definitely got some spicy heat to it, but not too much, and this is the best bowl of greens I've ever had at a restaurant. And I've never been served greens with pot licker in a restaurant -- usually that's only when I eat with the family. My daughter had the tomato bisque and the turkey pot pie. The pot pie was full of turkey meat, topped with a flaky hot crust. 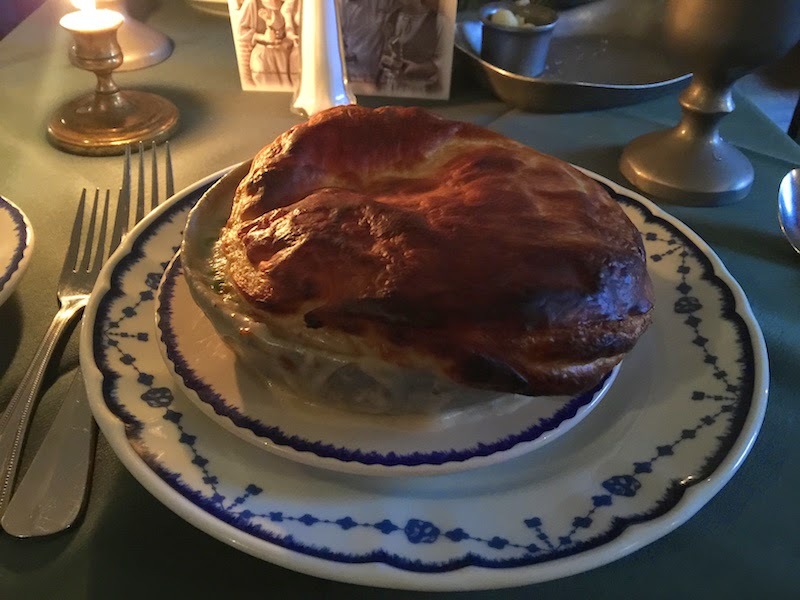 Unlike many pot pies, there was no crust under the pie; just over the top. She loved it. 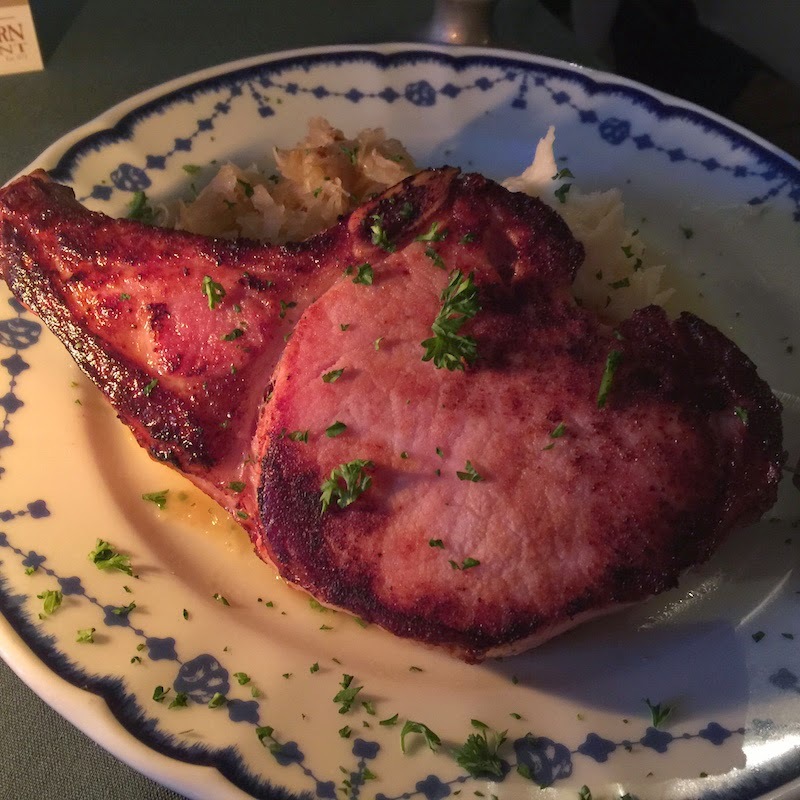 I had the apple wood smoked pork chop. As you can see in the picture, this was the biggest pork chop I've ever had, and the smokiness of the apple wood made it flavorful and juicy. 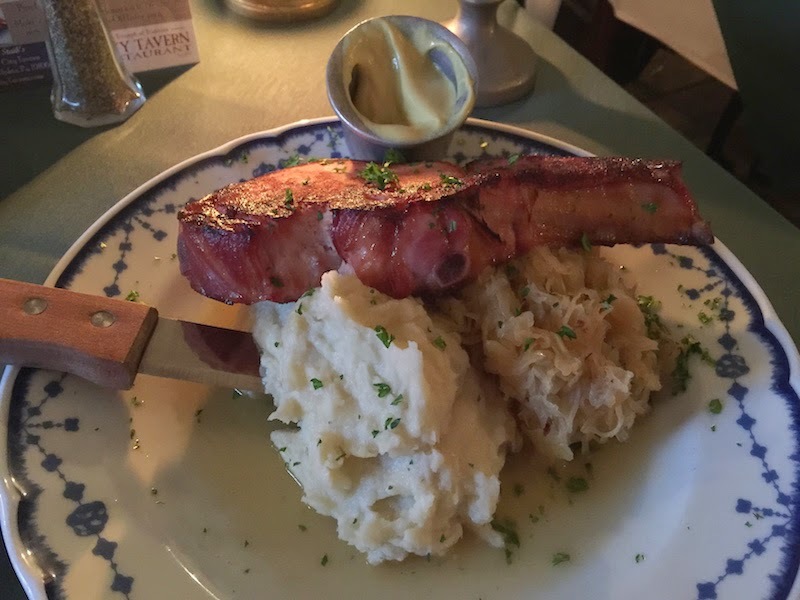 The sauerkraut and mashed potatoes were also delicious and served in generous portions. 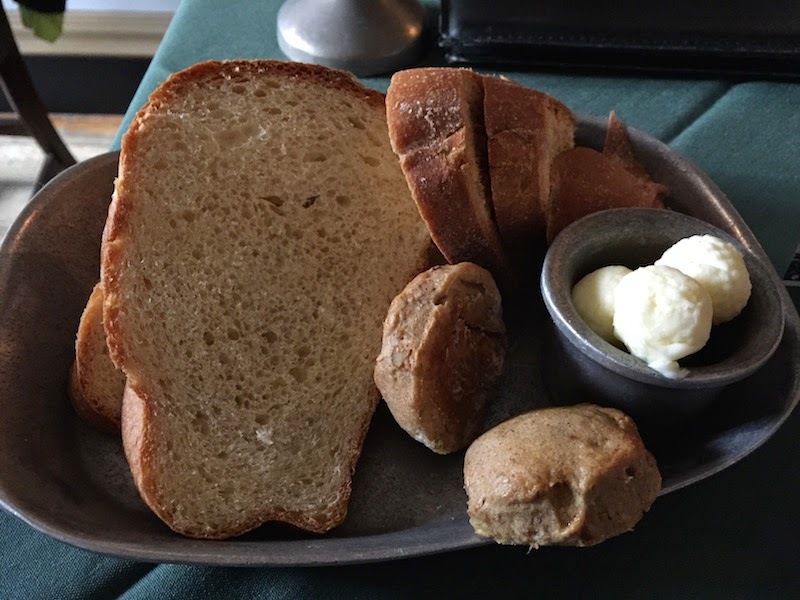 Even the bread was baked fresh from Colonial recipes. The corn bread used molasses, and we had sweet potato biscuits.